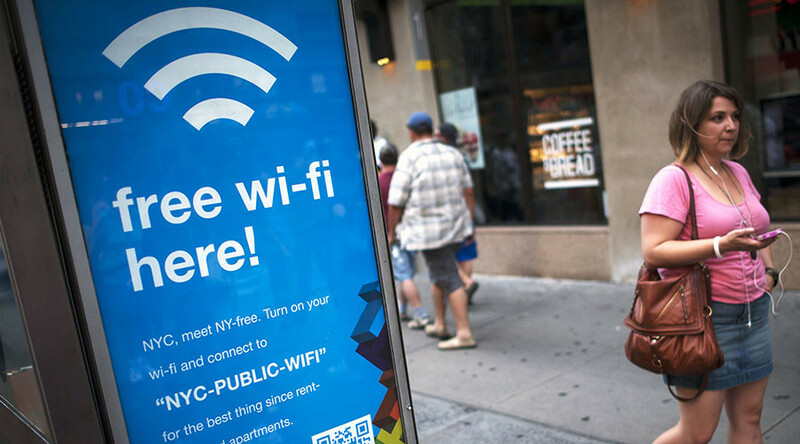 If you live in a place where many neighbors use Wi-Fi networks and have a problem with Internet speed dropping from time to time, there might be good news for you, as engineers in Chicago may have hit on a solution. The all-too-common connection problem is actually Wi-Fi networks ‘bumping shoulders’ with each other and worsening everyone's connection, like a crowd of party-goers all trying to have a dozen separate conversations at the same time. A team at Northwestern University's McCormick School of Engineering has found a way to harmonize separate networks using widely available FM broadcasts as a reference. "Our wireless networks are completely separate from each other,"said PhD student Marcel Flores, the lead author of the study. "They don't have any way to talk to each other even though they are all approximately in the same place. We tried to think about ways in which devices in the same place could implicitly communicate. FM is everywhere." FM broadcasts use a subcarrier called Radio Data System (RDS) to transmit data like the name of a radio station or a clock time to receivers. It reaches all devices in a certain neighborhood virtually at the same time and can be used to synchronize them. This is done without any actual communication between the devices or any extra load on the broadband. Once synchronized, the devices can work out scheduling that would not pit individual networks against each other. "It will listen and send data when the network is quietest," Flores said. "It can send its data right away without running into someone else or spending any time backing off. That's where the penalty happens that wastes the most time." The solution, which the team calls Wi-FM, only requires a software upgrade for mobile devices that have FM chips, which most already do. And it is pretty reliable in terms of FM signal availability, as signals penetrate walls and can be found in all urban areas, whereas Wi-Fi networks would need synchronization in the first place. The team is set to report their solution on Tuesday at the annual IEEE (Institute of Electrical and Electronics Engineers) International Conference on Network Protocols in San Francisco, but their paper is already available online.